This was a great little family event I was hired to capture, and also had a bunch of 'firsts' for me. It was my first '3D Logo Reveal' with the Chris Keleher Team opening - just something I thought I'd add in to challenge myself. My first time using camera solved, tracked, 3D text composited in Blender 3D. First time using my new dedicated video camera for a client commissioned project, -- and my first time with an interview type set up at the end when we have the visitors comment about the movie. So needless to say, I tried a few new things for this project and overall - had just a great time. In addition to managing all of my video related work for this project, I was also supplying a framed local scenic print for one of the door prizes, and supplying the photo booth capturing stills for social media - operated by my lovely wife, and our 7 month old son who slept the whole time. Now, I don't know if it counts, but it's also the first time something I produced was shown on 'the big screen'. 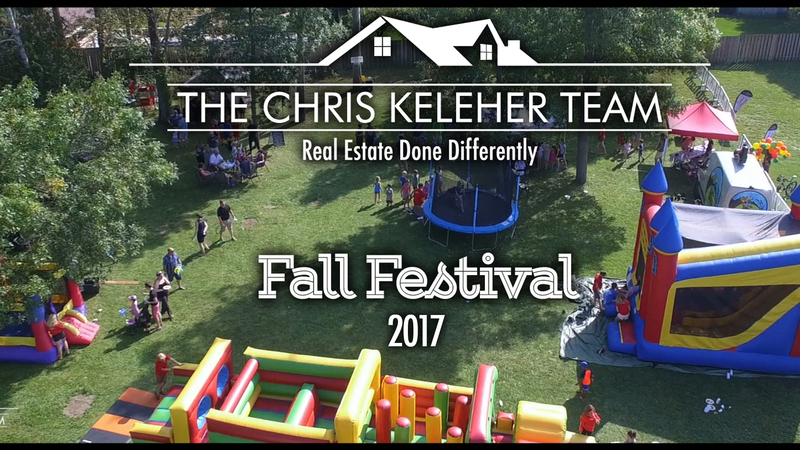 One of the advertisements the Chris Keleher Team ran after the Boss Baby showing was the video I captured and edited for their Fall Festival, six months earlier.